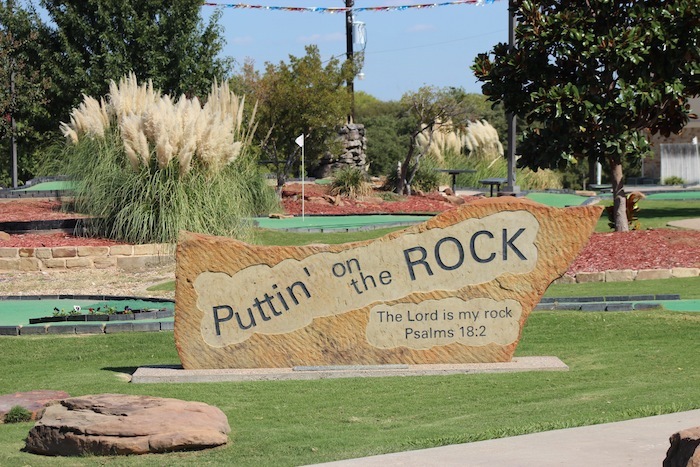 Our campus has an 18 Hole Miniature Golf Course that is fun for people of all ages! This time honored tradition is a great, free activity for any group! 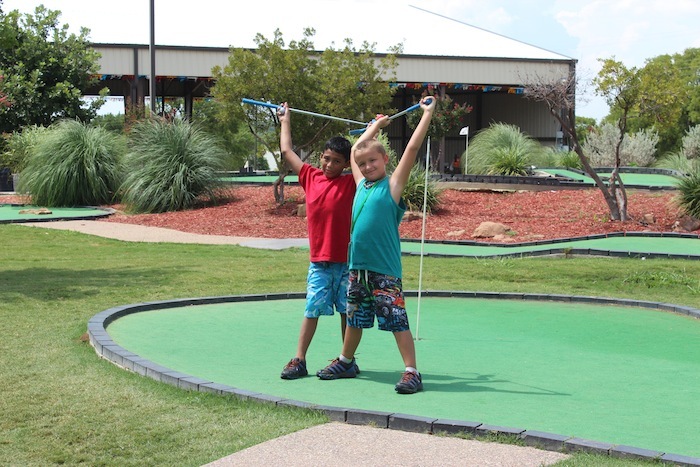 The miniature golf course sits at the very center of our camp, and is always one of the favorite activities at Camp Copass. You may bring your own golf ball or purchase one in our Camp Store or the Front Office for $1.00. The Clubs are available next to the golf course at The Patio. 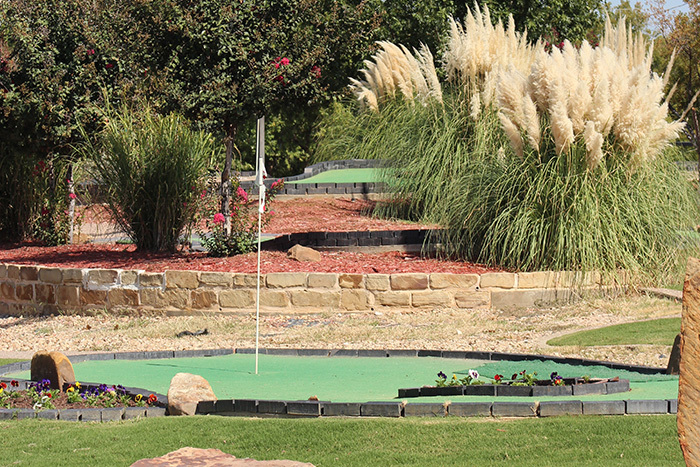 Our 18 hole course has a variety of terrain and a creative hole designs. Come play a round with your friends!